I love the photos and I love pumpkin. I'll take one of the bungalows! I can't quite believe those pumpkin boats. I wouldn't get in one, that's for sure, without being paid a lot of money. 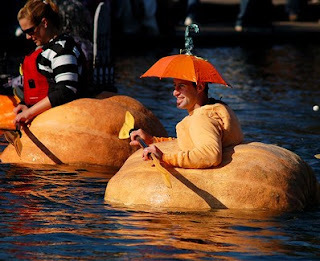 I'd move to Boulder, but I don't think they could grow a pumpkin big enough. Pumpkins are fun to play with, but taste aweful. I cannot get one bit of pumpkin pid down the old gullet. But I am willing to try some pumpking beer. 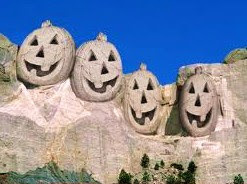 I love pumpkins, and pumpkin pie, bread, muffins, soup, etc., etc. I've never been big on decorating with them, but I DO love that picture of the, um, slightly offensive lawn ornaments! 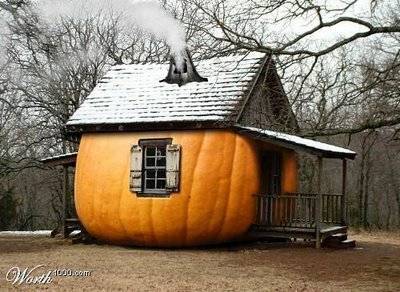 I would love a little pumpkin bungalow to hide out in!